DIAD – HopeFest 2017 | Junior League of Tucson, Inc.
HopeFest is an annual event sponsored by the Hope Network, a nonprofit organization that coordinates and collaborates with hundreds of faith-based organizations, community organizations, government entities, social service organizations and businesses to serve the impoverished. 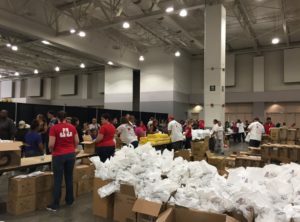 Hope Fest is a citywide, one-day event providing groceries, clothing, medical, dental, haircuts, hygiene items and helping services to the most needy, underserved and marginalized populations — all for free. Hope Fest has operated in Tucson for 24 years. Hope Fest provides over $1.5 million dollars of good and services on this one day. Year after year, members of The Junior League of Tucson have returned to as volunteers to help staff the event. 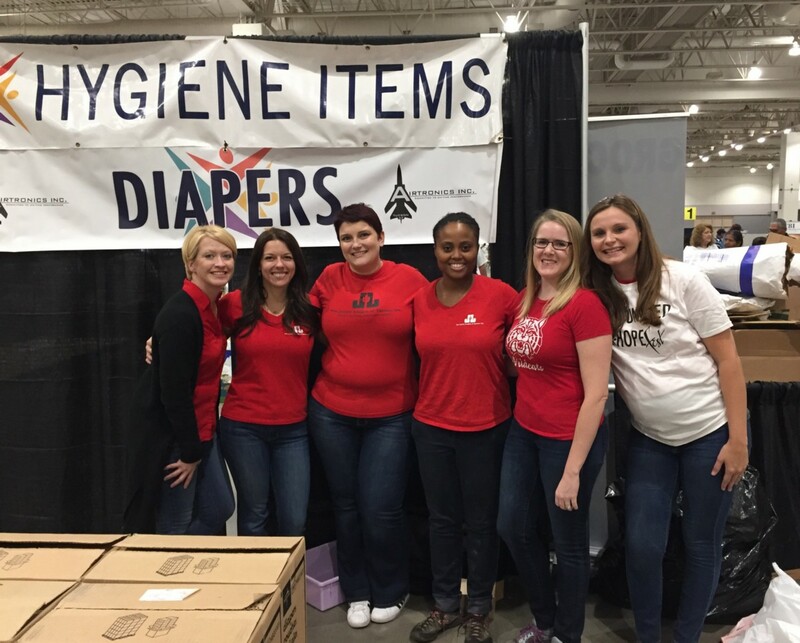 Our members helped in the hygiene area, packing bags with personal hygiene products and diapers.